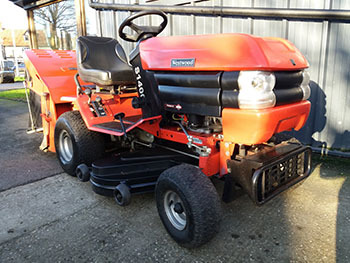 This used Westwood garden tractor is powered by a 14.5hp Briggs and Stratton engine and has foot controlled hydrostatic transmission. 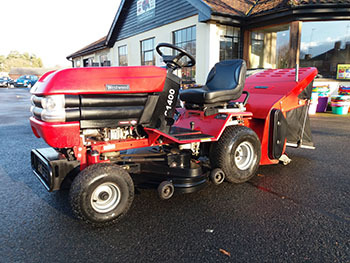 Fitted with a 38 inch cutting width rear discharge Vector Flow three blade deck and 300 litre powered grass collector. Fully prepared for sale in our workshop. 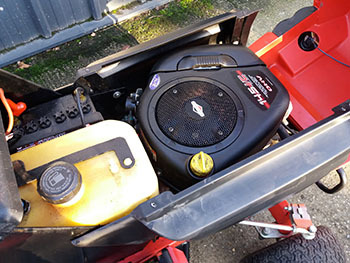 We have carried out a full engine service, fitted a new battery and replaced the cutting deck shell. Additionally, we have replaced all the sweeper brushes and fitted a new lid to the powered grass collector. 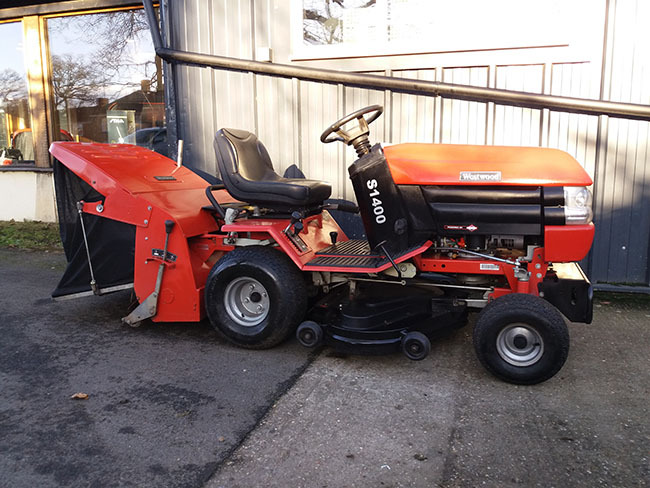 This garden tractor is now sold, we have similar machines becomming avaiable, please contact us on 01603 738635 for details.